I am the bane of every hairdressers life on photoshoots & fashion shows because my hair is an annoying combination of super soft and super straight. 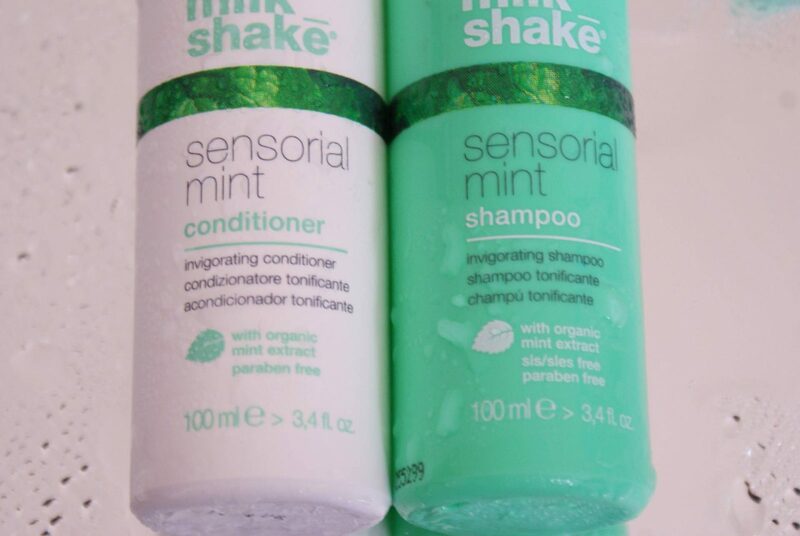 Milkshake Sensorial Mint Shampoo & Conditioner are just DEEEEELICIOUS and so perfect for my hair type. The shampoo is a clear formula which I always know is a good start (anything that looks creamy never works in my hair) and it smells absolutely divine, a gorgeous combination of organic mint extract and fruit, I think apple. The formula is specifically formulated to perk up the scalp and hair, the organic mint extract refreshes and is the perfect pick me up in the morning shower, or cooling effect after a day in the sun or after a tough workout. The stimulating effects of the mint extract also encourage blooodflow to your scalp which can help to increase volume and even stimulate growth!! Just make sure you are giving your scalp a proper massage when you are shampooing to really get the blood flowing. I also dry my hair upside down to maximise volume. 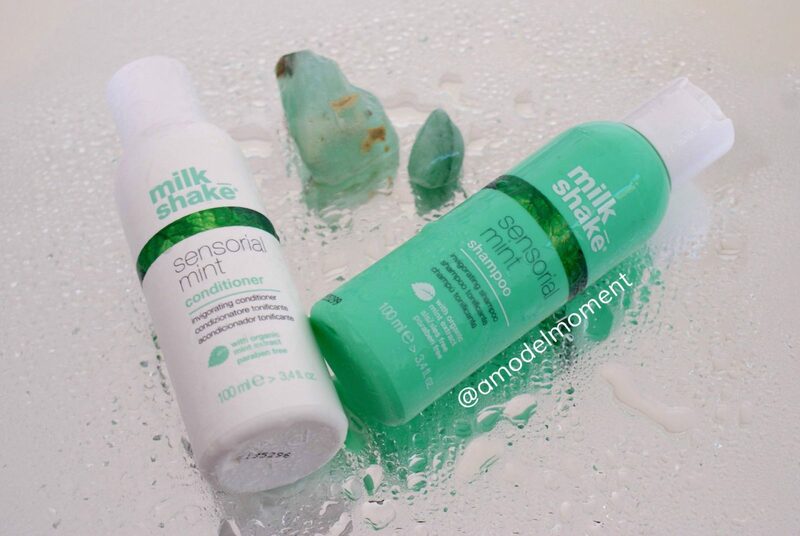 The other great fact about the Milkshake Mini’s Sensorial Mint is that they are SLS/SLES and paraben free. 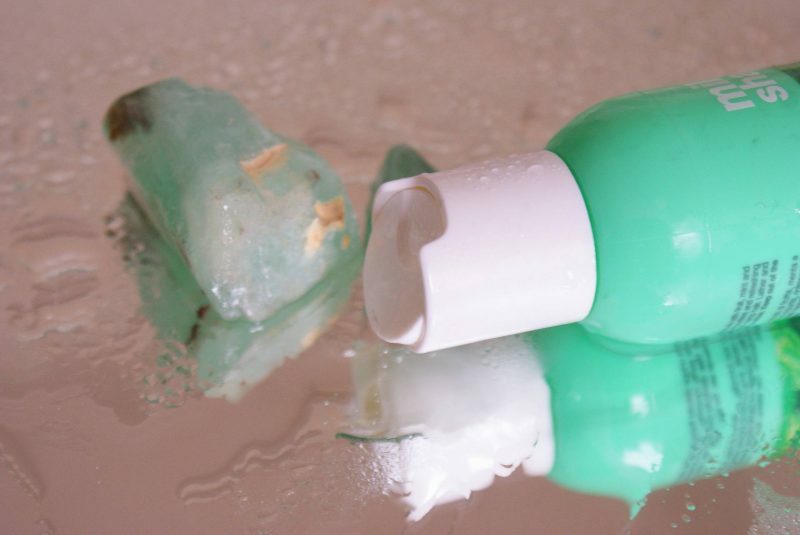 SLS (Sodium Lauryl Sulfate) is a chemical found in many household products such as shampoo/toothpaste/bodywash etc to make them foam, it is a common irritant among people with sensitive skin. I can suffer from eczema, so the fact this shampoo has no SLS or parabens was a huge huge plus for me. Not only was the shampoo clarifying, smelt great and was non-irritating . . . my hair was SOOOO shiny after using this combo and definitely not weighed down by the conditioner. Some shampoos can also make my hair very static, there was none of this whatsoever. The launch of the Milkshake mini’s is really exciting because I can have the 300ml at home and now have an easy 100ml for my gym bag and holidays! You can buy online or find your nearest stockist here. I’d also recommend checking out the mini Invigorating Spray (£6.99) which is a great hydrator & refresher for your skin and hair after a workout or on holiday. 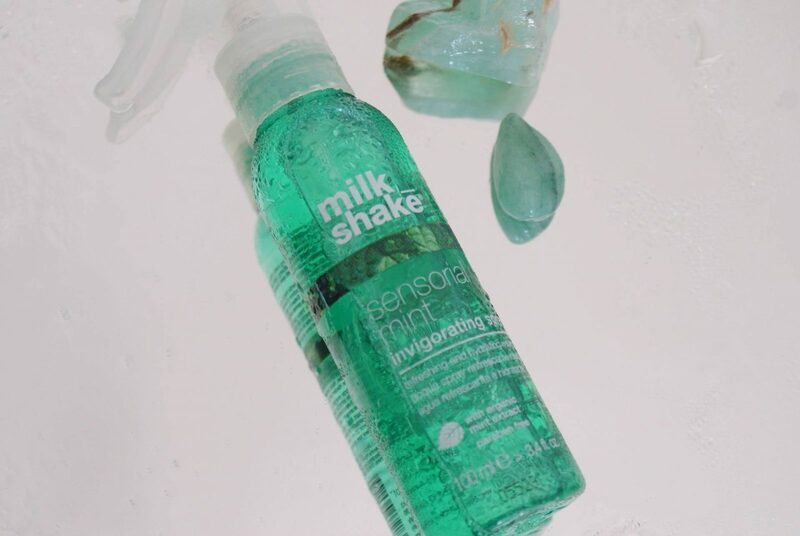 It’s an energising minty water spray that gives you a boost of freshness and feel-good factor…perfect for summer!